The great Bill Shankly famously stated that football is ‘much more serious’ than a matter of life and death. Perhaps this is the reason why superstition abounds within the realms of the beautiful game. From Zidane and Maradona’s much publicised pre-match rituals, to Johan Cruyff’s charmed chewing gum, footballers the world over are well known for embracing the weird and the wonderful in the hope it will ensure good fortune once the white line is traversed. Elland Road was said to be cursed. Leeds United’s legendary manager Don Revie was renowned for his lucky blue suit and superstitious nature. However, on receiving a letter from a gypsy in 1971, Revie decided to take things a stage further. The author insisted that Elland Road (Leeds’ stadium) was cursed as a group of gypsies had been forced off the land prior to its construction. Suffering from an unexpected loss of form at the time and dropping points, the manager duly invited a gypsy to the stadium in order to remove the curse. ‘Now you’ll start winning things’ she said after conducting a peculiar ritual on the pitch. Leeds would subsequently go on to produce some of the finest displays of Revie’s tenure and secure three more major trophies. Did the gypsy work her magic, or was it merely coincidental? Bela Gutman. Did he curse Benfica? Perhaps Portuguese giants Benfica should take note of Revie’s faith in the supernatural. In the early 1960s the club was a major superpower and won the European Cup twice under the management of the mythical Bela Guttman. However, after achieving such incredible success, the Hungarian impresario was incandescent when the board denied him a pay rise. On leaving the club, he angrily proclaimed that Benfica would not win another European trophy for one hundred years. To date, the Portuguese side have been losers in eight major finals. Many Benfica fans now firmly believe that their club has been cursed. Even items of clothing take on mystical properties in the high pressure world of professional football. The sensational Pelé’s dramatic decline in form over several matches during the mid 1960s was attributed to the loss of his ‘lucky shirt’. The Brazilian master had kindly presented this to an adoring Santos supporter after a match. A close friend was hastily called upon to track down the special jersey. On its return, Pelé felt rejuvenated and his genius swiftly reappeared. Little did he know that his concerned companion had committed an act of chicanery by procuring another used shirt and pretending it was the lucky one! England’s World Cup winning captain Bobby Moore always insisted on being the last player in the changing room to put on his shorts, whilst striker Gary Lineker requested a shirt change at half time if he had yet to find the net. Both players boast a combined total of 188 international caps between them, so perhaps there really is a mysterious link between superstition and success? Raymond Domenech openly declared his belief in astrology. Nonetheless, no matter how much footballers may be willing to embrace the irrational to win matches, they clearly do have their boundaries, as French international manager Raymond Domenech discovered. His reliance on astrology when selecting which players to include in his squad frequently attracted ridicule. The dramatic fall out between Domenech and his team at the 2010 World Cup finals ultimately lost him his job. Another international manager who would fall foul to sceptics was Glenn Hoddle. His policy of calling upon the services of faith-healer Eileen Drewery (who had assisted him with a knee injury as a young player) left him open to scathing criticism. Kolo Touré insisted on being the last man out. Touching wood, putting a right boot on first and sporting a lucky charm are all common-place superstitions. Indeed, the same habits will be repeated in dressing rooms across the land throughout the highs and lows of the footballing season. One such belief, strangely held by many players, is that they will have a good game if they are the last man out of the dressing room. Arsenal defender Kolo Touré took this to the extreme during his side’s 2009 Champions League clash with Roma. Team-mate William Gallas was receiving treatment at half time and Touré insisted on waiting until this was finished. His obstinance resulted in Arsenal starting the second half with nine men and him receiving a yellow card for entering the field of play late without the referee’s permission. Fortunately for Touré, Arsenal finished 1 – 0 winners. Thousands of men were at work constructing the new harbour at Tema Port, Ghana. The colossal project involved the clearance of vast swathes of land with state-of-the-art bulldozers and machinery. However, in the midst of the bustling industry, one solitary tree trunk refused to budge. Despite being subjected to numerous attempts to uproot it from the ground, it appeared to defy all logic, and stood obstinately intact in the centre of the barren landscape. ‘This tree be Fetish’ explained a local tribesman to a government official who had been assigned to oversee the work. The civil servant was bemused and clearly did not understand this curious statement. A Fetish is said to represent a powerful spirit (loa). Essentially, the man was suggesting that a powerful spirit (loa) dwelled within the tree. In Voodoo tradition if an object is said to be ‘Fetish’ it is effectively the host of such an entity. The only way that the tree could be removed successfully would be if a Fetish Priest was called in order to conduct an appropriate ceremony. Such a Holy Man was duly summoned. On arrival, the Priest explained that he would speak to the spirit and see if he could persuade it to move to another tree. After entering a trance-like state, the Priest concluded that the ceremony had been a success, the spirit believed that the new harbour would bring many benefits to the local people and agreed to move on. Then, amazingly with minimal effort, the workmen were able to perform what was unthinkable a few hours before. The tree yielded obediently in the baked solid soil revealing a massive lattice of jagged roots for all to see. Baron Samedi the loa of the dead. Mainstream representations of Voodoo are much distorted. There are many such incredible anecdotes regarding the mysterious religion most commonly known as ‘Voodoo’. In West Africa (where it originated) it is often called Vodun. As Alfred Metraux has noted, the peoples of this region have ‘kept alive beliefs and rituals inherited from the ancient religions of the classical East and the Aegean world.’ Voodooists identify with a sophisticated pantheon of Gods and spirits. Indeed, the religion may have evolved in the New World in countries such as Haiti, Brazil and the USA, but there remain clear similarities with the root practices. Christianity has been synthesised with Voodoo and particular saints have come to be associated with the loa (spirits) of Voodooism. For example Saint Patrick often represents Damballah-Wedo (the snake God) on account of his affinity with the reptiles. Ceremony, ritual and trance are vital components of Voodoo, and the hunsi (initiates) meet at hunfort (a secluded place) to pay homage to the spirits. 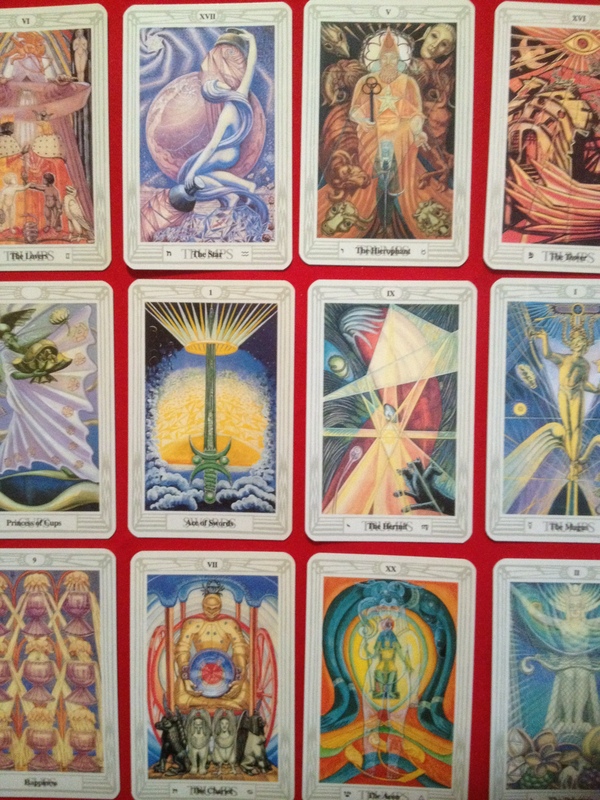 A clear hierarchy exists, and the hungan (priest) and/or mambo (priestess) will oversee the proceedings. Indeed, the sacrifice of animals, lively music and often frenzied dancing, led many westerners in the past to look down upon the religion and dismiss it as mere ‘sorcery’ or ‘black magic’. However, with an estimated half a billion followers throughout the world, Voodoo is clearly a vital aspect of daily existence for many. Papa Doc who ruled Haiti from 1957 to 1971 used Voodoo to exert his control over the masses. Many may view Voodoo with suspicion and disdain on account of its distorted mainstream image. Popular media representations such as Ian Fleming’s Bond novel ‘Live and Let Die’ have fuelled both intrigue and fear. The infamous Voodoo Doll, amulets, potions and the casting of spells represent a belief system which appears to be the complete antithesis of Christianity. Nonetheless, it must be understood that a true Voodooist is aware and respectful of the subtle forces which exist in nature. The axiom of ‘do unto others as you would have them do to you’ should always apply. Clearly more serious study is required regarding the origins, evolution and influence of Voodoo throughout the world. Alfred Metraux’s research on Haitian practices throughout the 1940s and 1950s is most illuminating. However, it is understandable that practitioners may choose to be less than forthcoming to academics when Voodoo is often regarded with such suspicion and contempt. In nations which ostensibly champion Christianity as the official religion, Voodoo is frequently dismissed as a cult and deliberately marginalised from mainstream consciousness. The author of the article is David Fox, a professional entertainer and freelance writer based in the UK. Visit David’s website for more information: www.magician-midlands.co.uk. 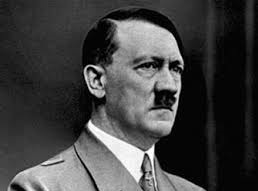 Adolf Hitler placed a 200,000 Reichsmark bounty upon his head, Josef Stalin was mesmerised by his extraordinary talents, and Sigmund Freud and Albert Einstein were baffled by his telepathic abilities. He gained an international reputation as a psychic entertainer par excellence and enjoyed celebrity status in the former Soviet Union. The legend of Wolf Messing continues to mystify and astound, but why are so few people in the West aware of this incredible individual? 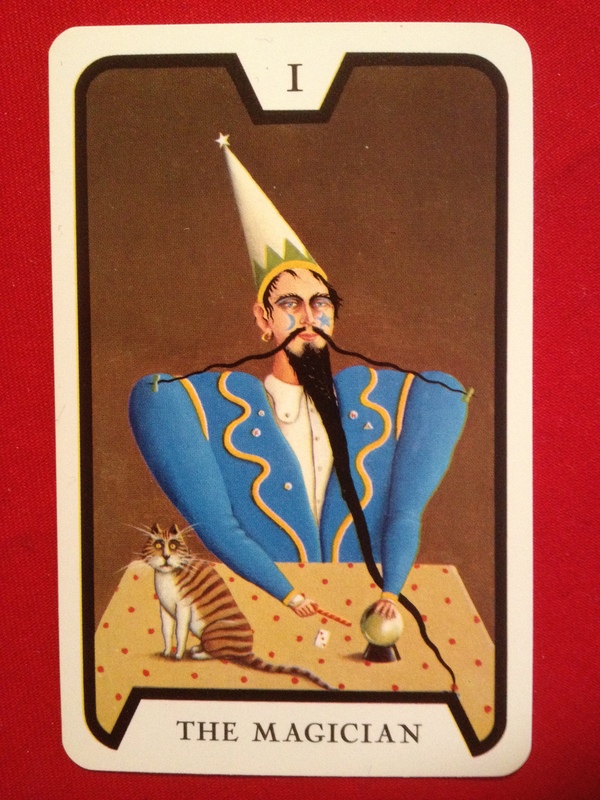 Messing was born in Poland in 1899 into a respectable middle class Jewish family, and from an early age he exhibited extraordinary talents: an uncanny ability to predict future events, divine the thoughts of others, and find concealed items. But it was Messing’s curious capability to inexplicably influence the actions of friends, relatives and neighbours which caused the most amazement. The eccentric young man eventually defied his parent’s wishes to become a rabbi and travelled west to Berlin to seek his fortune. Messing is said to have amazed both Einstein and Freud with telepathy. Prior to the outbreak of the Second World War, Messing toured extensively with a circus and quickly established himself as a sensational showman. Audiences throughout Europe marvelled at what appeared to be genuine feats of telepathy, psychic ability and clairvoyance. His act was unique and clearly very different from that of a classic conjurer or illusionist. Indeed, Messing’s famous meeting with Freud and Einstein illustrates this fact. Both men were extremely curious about his purported ability to read minds and they set him a task. Freud would attempt to transmit a thought to Messing and he would then have to reveal this. The Polish man of mystery successfully completed the task by leaving the room, collecting a pair of tweezers, and returning to pluck a hair from Einstein’s moustache – which was exactly what Freud had ‘willed’ him to do! However, as Messing’s star was rising, so too was the tyranny of the Third Reich, and he was forced to return to his homeland. Hitler was said to be wary of Messing and the Nazis placed a bounty upon his head. Stalin was amazed by Messing’s extraordinary feats and apparent psychic abilities. On a typically bitter Moscow morning, Messing answered a brusque knock on his apartment door to be greeted by the ominous figures of two secret police officers. He was then tersely ordered to rob 100,000 roubles from a bank using only his powers of suggestion and influence. Stalin had devised a seemingly impossible test. Nonetheless, never a man to shirk from a challenge, Messing accepted the task and promptly proceeded to relieve the bank of this massive sum. Somehow he managed to convince the teller that the blank piece of paper he presented was in fact an ‘official document’ which authorised the gargantuan transaction. Stalin was amazed and invited Messing to visit him at his dacha (country retreat) on the outskirts of Moscow. Stalin’s dacha was heavily fortified but Messing defied the odds and mysteriously appeared in the Soviet leader’s study. 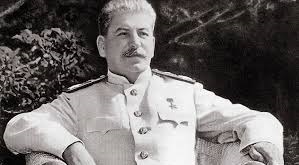 One of the most heavily fortified places on the face of the planet during this period, and until his death in 1953 – Stalin’s dacha was an impregnable citadel. 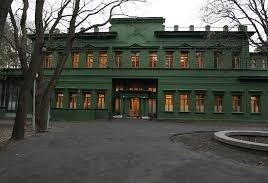 A perimeter fence was manned constantly, and no fewer than 300 agents of the NKVD (later to be the KGB) prowled the compound ensuring maximum safety for their leader. Indeed, Stalin seldom left his office in the heart of the complex and was profoundly bewildered when Wolf Messing mysteriously materialised in his study unannounced. The Soviet leader was in awe of the Polish wizard and demanded to know how he had achieved the unachievable. Messing calmly explained how he had used his powers of suggestion to convince Stalin’s guards that he was in fact Bera (the head of the secret police). Clearly they had believed him and some accounts state that this sensational feat would earn Messing a commission working for the NKVD. However, he would refute this claim in his biography in later life. Legend has it that he taught the officers of the Soviet secret police the dark arts of telepathy, mind-reading and psychological influence, but Messing dismissed this forcefully as nonsense to his biographer Tatiana Lungin. 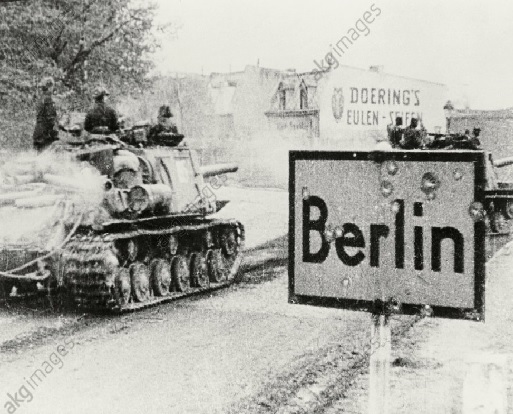 Messing had visions of Russian tanks entering Berlin during the early years of conflict and successfully predicted the date the war ended. Messing was famous for his predictions, but the one he made in Novosibirsk on 7th March 1944 would cement this reputation. The war did indeed end on the day he said after the cessation of German military operations at 23.01 on 8th May 1945. He had also spoken of having visions of Russian tanks in Berlin throughout the early years of Operation Barbarossa. 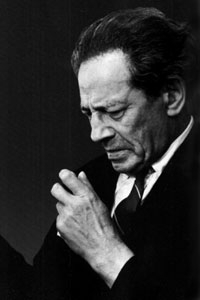 Messing was now celebrated as a national icon, and would also gain a reputation beyond the Iron Curtain, proudly claiming prominent post-war admirers such as Mahatma Ghandi and Marilyn Monroe. Stalin’s favourite psychic continued to tour and amaze audiences until his death in 1974. Wolf Messing claimed to have the ability to see the future and that science could not currently explain this. For a documentary click the link: Wolf Messing Psychically Robs a Bank. Harry Price (1881 to 1948) is remembered today as perhaps the most famous ghost hunter and psychical investigator of all time. The intrepid scientist’s study of Borley Rectory in Suffolk, purported to be ‘The Most Haunted House in England’, from 1929 until his death brought him international recognition and cemented his reputation as a colossus within the field of occult research. Nonetheless, this extraordinary figure became an object of both acclaim and disdain during his lifetime. Some commentators viewed Price merely as a sensationalist who sought publicity by courting the supernatural, whilst others championed him as a genuine truth seeker – selflessly dedicated to unlocking the mysteries of the universe. Indeed, Price’s commitment and dedication to the investigation of preternatural phenomena cannot be understated. 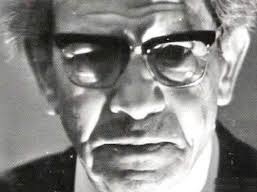 He founded The National Laboratory for Psychical Research, compiled one of the largest libraries of the occult in the world, and was one of the first scientists to apply a rigorous and methodical approach when testing the authenticity of psychics and hauntings. Price utilised state-of-the-art technologies such as pressure sensors and infra red photography in his quest into the unpredictable and inhospitable shadow realm of spirits, poltergeists and demons. His capacity and appetite for conducting painstaking research – in often freezing and isolated locations in the dead of night – has set the bench mark exceptionally high for all psychical explorers. In Borley Rectory alone Price recorded no fewer than sixty different types of supernatural occurrence. Borley Rectory in Suffolk – The Most Haunted House in England. Contemporary ‘ghost hunters’ frequently pay homage to Price’s considerable influence and achievements, but few are actually aware of his background in the art of conjuring and legerdemain. A lifelong member of the prestigious Magic Circle, his interest in this amazing art form began at an early age when he witnessed a performance of The Great Sequah in Shrewsbury market place. The young Price was mesmerised by the magician and this profound experience clearly catalysed an inner yearning for the mysterious. ‘The Conjurer’ by Bosch. 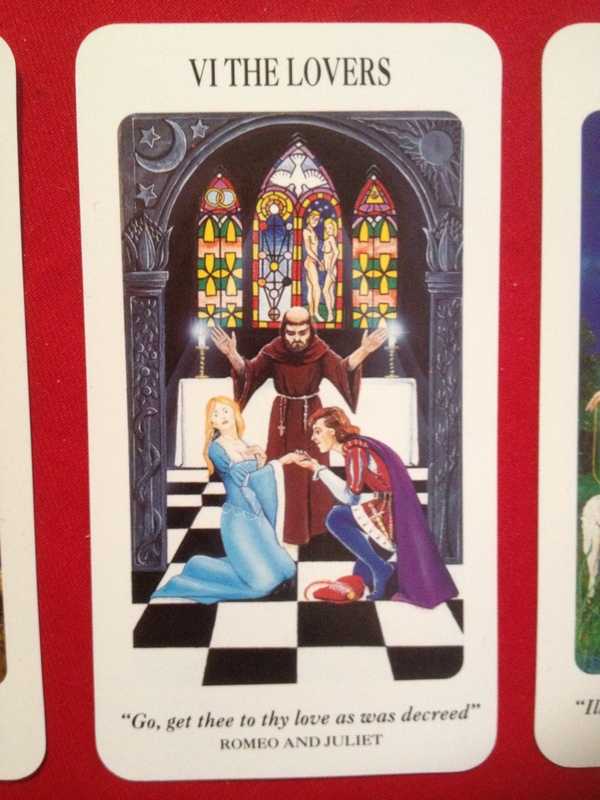 Magic and the Occult have always been closely linked. Thus, like the great Harry Houdini (who successfully debunked numerous fraudulent psychics in the US), an understanding of the art of magic allowed Price to deduce what secret artifices or methods, if any, were being deployed by supposed soothsayers and mediums during his research. The story of the famous ‘spirit photographer’ William Hope is well documented and is an example of one of Price’s many skirmishes with Spiritualists who normally felt threatened by his research. The scientist was more than aware of how accomplished magicians can surreptitiously ‘switch’ objects, undetected by audiences, in order to achieve startling outcomes. This was precisely what Hope was doing with the photographic plates, and Price quickly concluded that his ‘spirit images’ were actually frauds. Indeed, this damning revelation set the tone for most of Price’s investigations into Spiritualists and clairvoyants. He attended hundreds of séances and was rarely convinced by the authenticity of the spectacle. Lifelong friend Sir Arthur Conan Doyle (best known as the creator of Sherlock Holmes – but himself an ardent Spiritualist) frequently expressed his anger at Price’s findings and urged him to be more sympathetic towards individuals of a psychical disposition. Like the Great Houdini, Price’s knowledge of magic helped him ‘debunk’ fraudulent mediums. Nonetheless, in the midst of a seemingly incessant tide of fraudulence and deceit, Price did encounter some incredible individuals who genuinely appeared to possess exceptional extra sensory talents. 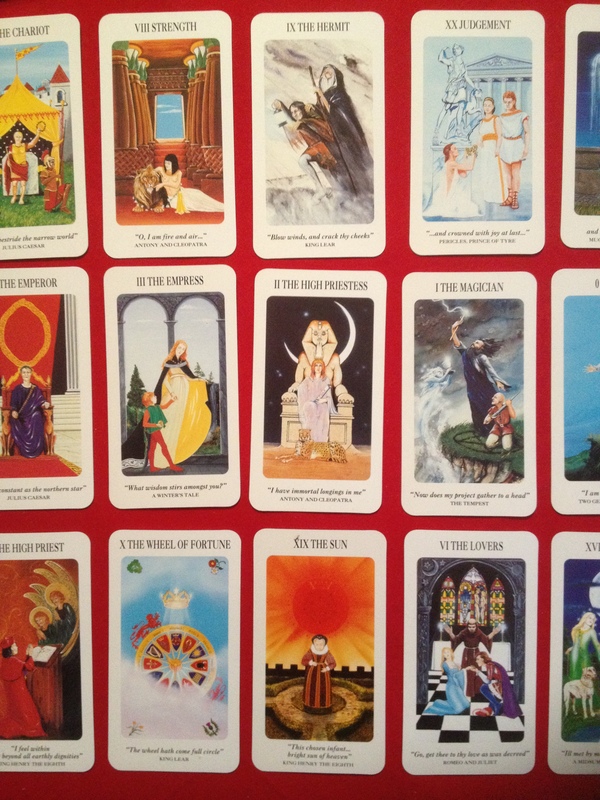 The most notable is perhaps Ms Stella C who, unlike the majority of clairvoyants and mediums, did not accept money for conducting séances and was not interested in forging a career in this field. Price and others observed the occurrence of genuine telekinetic phenomena in her presence, and she also incredibly predicted (with an uncanny accuracy which startled even Price) what would appear on the front page of The Daily Mail several weeks in advance. Price was further led to speculate that it may be ‘highly probable’ that some individuals actually can communicate with the deceased. A séance in 1930 with the clairvoyant Mrs Eileen Garrett, who was not a Spiritualist, provided some of the most extraordinary results ever obtained in the field of psychical exploration. Garrett claimed to be in communion with Flight-Lieutenant H Carmichael Irwin, the captain of the doomed R101 Airship which had tragically crashed in France two days earlier. All the crew and passengers had been killed, but the psychic was accurately able to relay intricate details about the sequence of events which led to the fatal accident. Specialised technological information about the airship itself, of which Garrett could not possibly have known, were also provided. Price contacted the RAF with his findings and they concluded that 70% of Eileen Garrett’s account was exactly precise, 20% was ‘most likely’ and the remainder was rather confused. The medium Eileen Garrett recounted intricate details of the R101 disaster. 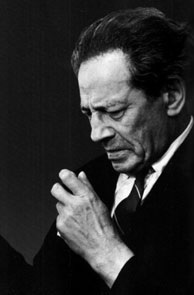 Such examples of Price’s work reveal that as well as earning a reputation as a sceptical man of science, he did have a sensitivity towards psychics and was prepared to reveal instances of what appeared to be genuine ‘supernatural’ phenomena. Indeed, his feud with fellow magicians the Maskelynes would reveal how he was often prepared to defend psychics who he believed were genuine. Nevil Maskelyne had long claimed that his brother Clive could duplicate all types of ‘supposed spiritual phenomena’ a medium could create in a séance. However, Price challenged this statement and alleged that he had witnessed events in séance rooms which even the most accomplished of conjurers would struggle to produce. Magicians can amaze audiences with seemingly ‘psychical phenomena’. Enigmatic and complex, the life of Harry Price is arguably even more perplexing than the mediums, spirits and poltergeists he documented along the way. It is intensely intriguing when a talented and highly intelligent individual is drawn to devote his entire life to the study of a fringe subject such as the occult. They run the risk of being ostracised, condemned and ridiculed by their peers. So why did Harry Price decide to embark upon such an atypical and arduous journey which would ultimately lead him to the bowels of desolate dilapidated mansions, the icy spectral solitude of cemeteries, and the sinister sultry environs of fraudulent medium’s séance parlours? Was he merely a deluded moonstruck eccentric shying away from the harsh realities of life? Or should we celebrate him as a heroic pioneer who conducted invaluable research into an area which has been largely ignored or overlooked by many of the greatest minds over the centuries? Psychical researchers can easily become objects of ridicule. Why did Price choose this path? For an interview with Harry Price click the link: Harry Price Interview YouTube. A radio production about Price’s life: Are You There Harry Price? The author of the article is David Fox, a professional magician and freelance writer. Harry Houdini – Spiritualism or Swindle? It was a dark and dreary mid-winter evening several years ago in Derbyshire. I had been invited to entertain guests at a corporate function in the distinguished setting of Breadsall Priory. The evening was going very well, and my repertoire of card magic, illusion, and sleight-of-hand was clearly having a positive impact on the proceedings. An opportunity soon presented itself for me to conduct some mind-reading and psychological routines (known as ‘Mentalism’ in magical parlance). In one such effect I invite an audience member to think of someone they know well. It could be a family member, friend or work colleague. In this instance the lady in question happened to think of someone who had recently passed on. Needless to say, when I later revealed the person’s identity, the participant thought something supernatural had taken place. As magicians we are well aware of the possibility of creating powerful effects which will leave a profound and lasting impression upon an audience. Indeed, magic and the supernatural have long been inextricably intertwined. The priests of ancient Egypt often used the art to mesmerise and frighten their subjects. In more recent times the case of the great French magician Robert Houdin (from whom Harry Houdini took his name) is well documented. Houdin managed to scare a group of tribal insurgents in Africa by using a simple magical effect in order to quell colonial insurrection. It is for this reason that the contemporary prestidigitator must be responsible and respectful when entertaining any audience. On hearing the word ‘magic’ we automatically think of Harry Houdini. This sensational individual needs little introduction and, almost a century since his death, he continues to amaze and inspire both magicians and lay persons the world over. 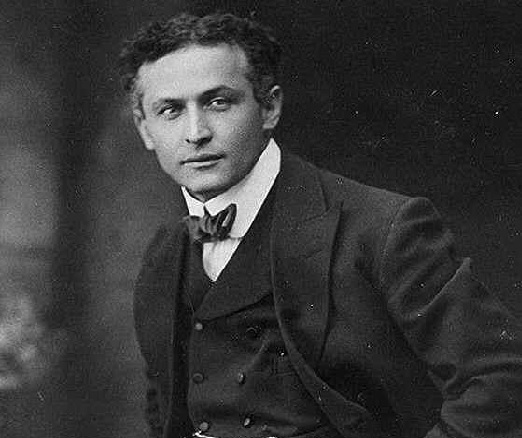 Houdini helped to raise the profile of magic considerably throughout the early twentieth century with his wonderful stage performances and death defying stunts. His boundless charisma, formidable work ethic, and strength of personality, all combined to create one of the world’s first international superstars. However, most people are unaware of Houdini’s close association with spiritualism during the latter stages of his life. On losing his beloved mother, Houdini began to ponder the possibility of an after life throughout the 1920s. Like many vulnerable souls who find themselves in such a time of emotional turmoil, he sought solace in mediums who had become more prevalent around the industrialised American towns since the ‘Occult Renaissance’ of the late nineteenth century. 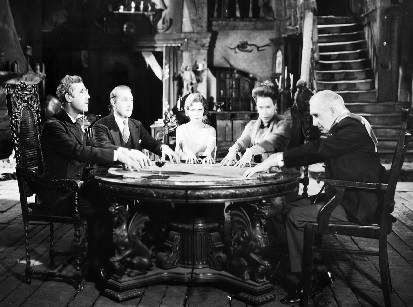 Sadly, Houdini was bitterly disappointed by the séances he attended, and quickly developed the point-of-view that spiritualists, and those that claimed to be in league with the dearly departed, were merely charlatans. Thus, he set out on a moral crusade to disclose, or ‘debunk’, the fraudulent activities of such persons. 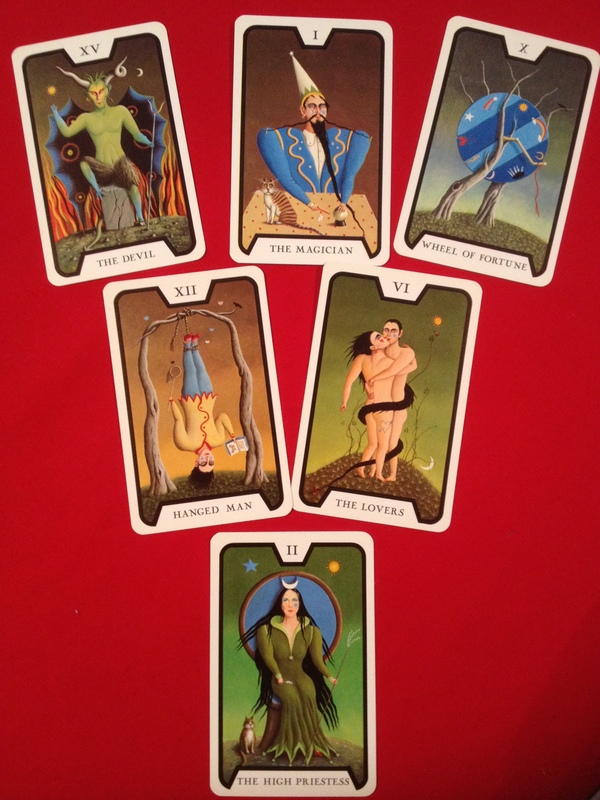 Houdini’s revelations are masterfully presented in his 1924 work entitled ‘A Magician Among The Spirits’. The great magician demonstrates much of the chicanery utilised by purported spiritualists in order to extract hard-earned cash from the unwary. Spiritualism grew in popularity from the mid nineteenth century onwards. But what of Spiritualism? Can we fully accept Houdini’s warnings, or is there really some kernel of truth in the possibility of communicating with the deceased? Adherents of the multitude of contemporary Spiritualist churches which exist throughout the world would refute his accusations. Indeed, one commentator has calculated that there are currently over thirteen million followers of this faith throughout Europe and North America alone. Perhaps like many belief systems Spiritualism has attracted its share of charlatans over the years, but are there mediums amongst its ranks who possess a genuine ability to contact the dead? The eminent philosopher Carl Jung appreciated that human beings possess a subconscious desire to believe in some form of higher force, or divine purpose, to life. The prospect of living a meaningless existence with no prospect of an afterlife is, to say the least, frightful. Many magicians often scoff at those who readily accept the existence of spirits, but in my humble opinion this is a rather arrogant stand-point to assume. Granted, given a sympathetic enough context, we can create effects which may appear to defy reality. A variety of elements combined that wintry evening all those years ago in Derbyshire such as the gloomy weather, dim lighting, and the fact that we were on the site of a medieval abbey which is rumoured to be haunted, to create an effect of almost supernatural proportions. However, there are indeed many things which contemporary science in all its wisdom still cannot fully explain such as: premonitions, photographs and recordings of unusual phenomenon, and telepathy. David Fox is a professional award winning magician who performs his unique brand of magic throughout the world.